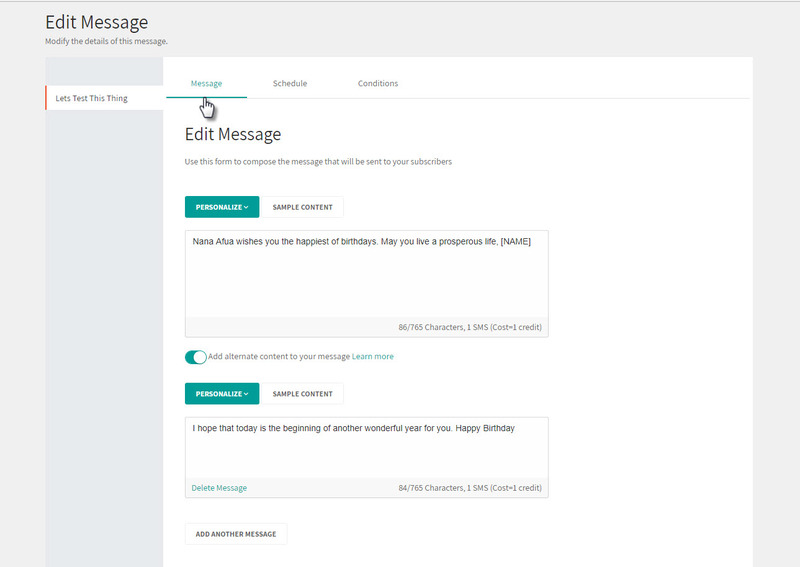 Click on the menu option for the message you want to edit. 4. Make the changes to your message. 5. Select Save and Finish to complete the process.